Misplacing keys or being locked out of your car is very common. You take a step outside your car and unknowingly close the door behind you. This annoying mistake can put your whole schedule in jeopardy and if you don’t get the right help then your day can get even worse. Knowing who to call for your auto lockout situation can make or break your day. If you are planning to call your car maker, be ready to shell out a couple of hundred extra bucks. Calling a vehicle towing service will be not of much help either as they will not be able to open your car. Your best bet is calling a locksmith service that can get you a resolution on the spot and one that can do it swiftly. If you are in Memphis, TN, there’s no other locksmith service that is more reliable than Parker Locksmith Store. 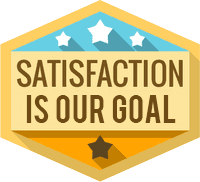 Our professional locksmiths will reach you in no time and you will be back on the road without spoiling your day. Should any other need arise, such as a damaged lock after a break-in, we can help you with that as well. Our technicians can create new keys for your vehicle, including older model keys and newer transponder keys. If you’re not sure whether your lock or key can be salvaged, don’t worry. We show up in our fully equipped mobile locksmith vans so we will have everything on hand we need to fix your problem. We can even rekey your ignition if you need us to. Nowadays, high-security laser car keys come standard with high-end brands. But due to their unique design that prevents unwanted duplication, they are becoming famous amongst other manufacturers as well. There are keys come with transponder chips that make it even more difficult for a thief to steal your vehicle. Losing such a key can be a nightmare and if you don’t have an appropriate backup then you would be in a really tight spot. 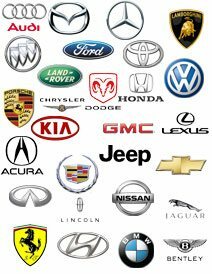 You might think you need to call a car dealer/maker for getting a new key, but we are qualified and prepared to complete such jobs. Our service will be way cheaper than a car dealer and we will be able to assist you onsite. 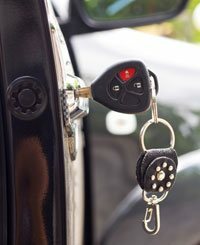 Breaking car keys or misplacing them would almost every time lead to the need for new car keys. At this point, you need a service that is available 24/7. You can’t wait for a locksmith company to open shop while you remain stranded in the middle of nowhere. Get in touch with us and we will dispatch our crew within minutes of your call. Due to extensive training and years of experience, our experts will create new keys for you on the spot. We can rekey locks if there is a suspicion of theft and reprogram your keys on the spot so that it can only be opened by your new keys alone. No matter what type of problem you’re experiencing with your car in Memphis, trust one of Parker Locksmith Store’s automotive locksmiths to diagnose and repair it efficiently and expertly. Save our number 901-821-0166 and call us whenever you need our service. 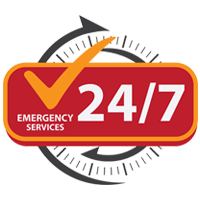 We are available 24/7 and we will reach you in minutes in any part of the city.